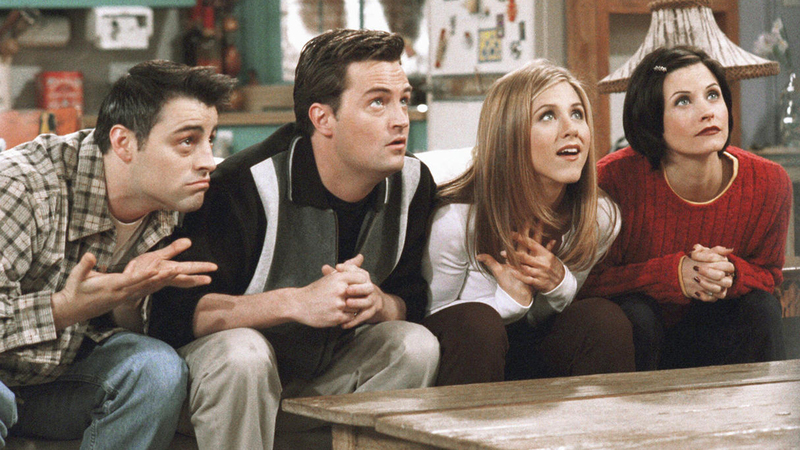 When reports began circulating over the weekend that Friends would be yanked from Netflix come Jan. 1, 2019, the fandom felt convinced it wasn’t their day, their week, their month or even their year. So, they did what any good fandom would do — they revolted. We get it. No one told them life was gonna be this way. And impressively, it garnered nearly 80,000 of the requested 150,000 signatures before Netflix clarified the show’s future. The fandom deserves some good news too. In January of this year, hopes ran high when what appeared to be a reunion movie trailer surfaced on the internet. However, it didn’t take long to realize the video was an artful curation of clips from the actors’ careers since Friends ended. Despite the explosion of reboots, revivals and reunions on film today, several stars of the sitcom have gone on record to insist they wouldn’t return to their Central Perk roots. In 2017, Matthew Perry (aka Chandler Bing) told Variety the very thought of it gives him anxiety. In January, Lisa Kudrow — who played the inimitable and quirky Phoebe Buffay — insisted to Conan O’Brien on his show that a revival of their show simply wouldn’t work. Friends first came to Netflix back in 2014 when the streaming giant dropped a whopping $118 million for the rights to all 10 seasons. The service then digitally remastered all 236 episodes for HD viewing.